Logic Pro X - The Details " is the follow-up book of "Logic Pro X - How It Works". 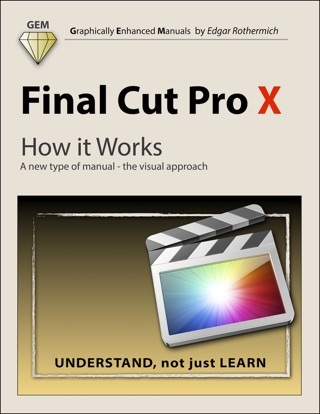 It explains all the remaining features in Logic Pro X with the same style by using rich illustrations and diagrams that are not found in any other manual. This is the first time that even beginners and intermediate Logic users can explore the more advanced features in Logic due to that easy to understand, visual approach of this manual. 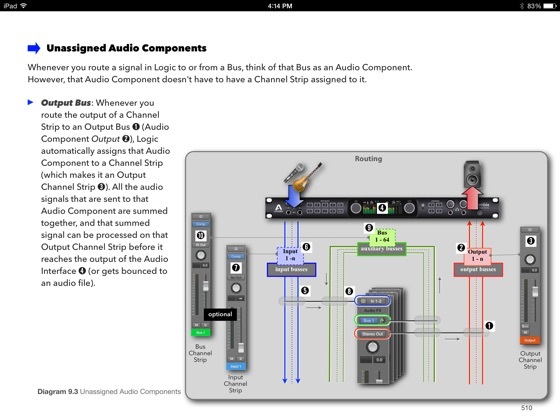 The Logic books in the "Graphically Enhanced Manuals (GEM)" series are the only ones available as interactive multi-touch eBooks. 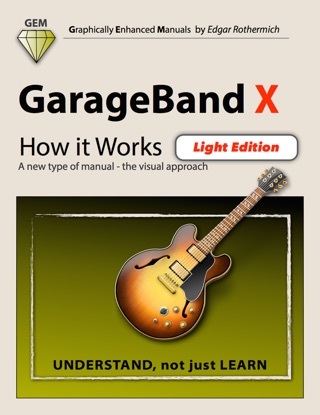 On 1527 pages, the author explains the app in great detail with additional background information that is often required to fully understand specific features. Many of the information regarding the functionality of Logic Pro X is found neither in the official documentation nor anywhere else. 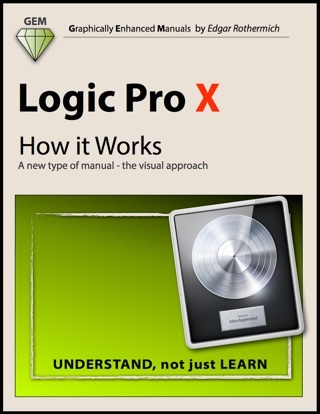 Logic Pro X is a very deep and sometimes complex application that users (beginners and pros alike) often struggle with. This is where the unique approach of the Graphically Enhanced Manuals series comes in. No matter how complex or complicated the subject is, the author provides easy to understand graphics and diagrams that let the reader understand and master the material. 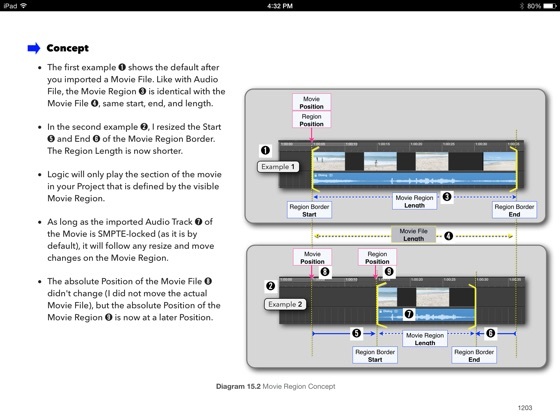 2 - Workflow: The most important and most underrated topic when using Logic is how to use it efficiently. That's why I start the book with that chapter. 3 - Advanced Editing: To really become a Logic "Pro-user", you need all the available editing tools on your Logic tool belt. 4 - Flex Introduction: Finally, Audio Regions have the same freedom when it comes to editing as their MIDI Region counterparts. 5 - Flex Time: No time restrictions for Audio Regions anymore. No matter what tempo an audio file was recorded in, you can change it and even quantize it. 6 - Flex Pitch: If you ever wanted to change the pitch information in Audio Regions but couldn't afford the Melodyne app or couldn't (under-)stand it, then Logic has the easiest to use tool for you. 7 - Browsers: The three Browsers in Logic don't get the same respect from their users. Either they frown upon Apple Loops or don't know what to do with the Media Browser in the first - now you will. 8 - Audio File Management: The problem with having a lot of stuff is how to manage that stuff. This is also true for all the Logic related files. You better learn how to manage them before you start to lose them. 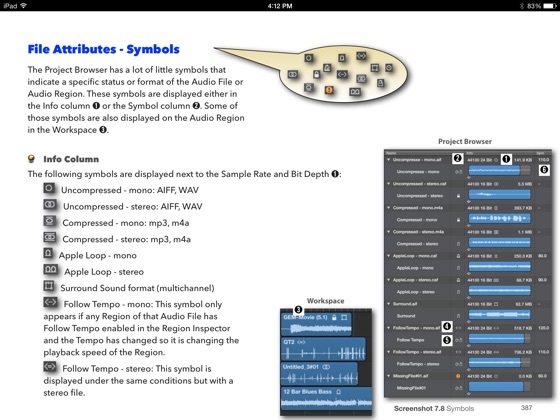 9 - Advanced Audio: There is much more to Audio in Logic that meets the eyes. 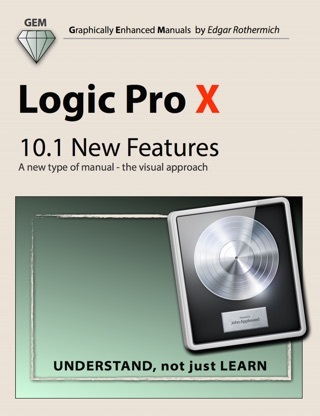 I dive into all those pro features Logic has to offer to show you what is going on under the hood. 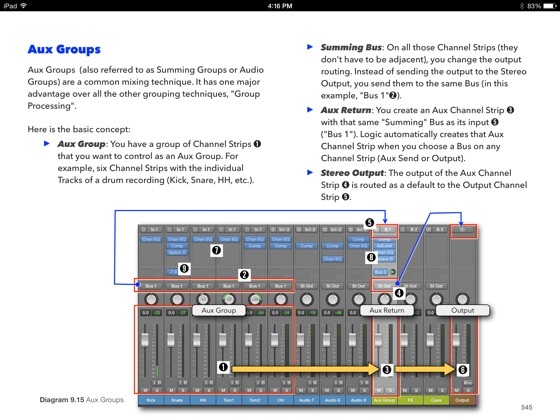 10 - Advanced MIDI: You can also advance your knowledge about the MIDI features in Logic, in addition to its audio features. 11 - Automation: Automation is such big topic, I had to split it into two chapters. 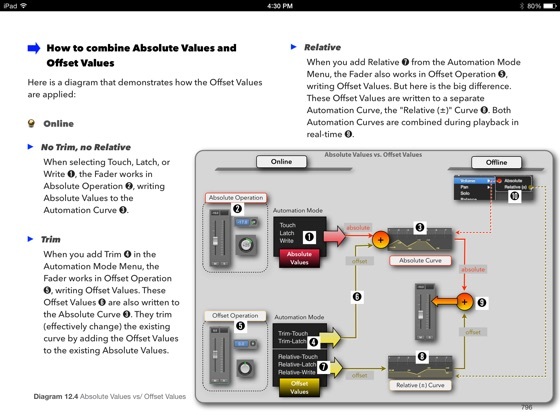 The first part covers Track Automation, the main automation mode that gets you started. 12 - Automation (advanced): There is Track Automation, Region Automation, MIDI Draw, Trim Mode, Absolute Mode, Relative Mode, to name just a few. Ready to become an expert on all of that? 13 - Music Notation: There are applications just for music notation. With Logic, that is included. No matter if you want to print out a single melody or an entire orchestral score - you can do it. 14 - Tempo & Time: Tempo and Time seems to be easy topics on the outside. But be warned, this chapter goes deep, where no other manual has gone before. 15 - Working to Picture: Logic is the best and most popular DAW when it comes to scoring to picture. Learn all the stuff you need to know - to do exactly that. 16 - Synchronization: If you made it through the Tempo & Time chapter, then this one is the right chapter for you with lots of information beyond Logic. 17 - The Environment: The scariest place in Logic, sending shivers down the spine of most Logic users - unless you know your way around ... then all of a sudden it becomes the most powerful place in Logic. 18 - Surround Sound: If two speakers are not enough to do your Project good, then it's time to move up to the world of Surround Sound. 19 - Control Surfaces: Logic will also surrender to outside powers. Learn how to use and setup those devices, no matter if it is just a single Mod Wheel or a fully equipped Control Surface. 19 - Gobbler and Connect: This is not a new cop show on CBS. Starting with version 10.2, Logic has integrated support for Gobbler and Apple Music Connect, two services that let you collaborate with other Logic users and share your work with others. I have been a huge fan of Edgar's in-depth graphic based manuals for years. The level of detail and explanation is unprecedented. The best part...he doesn't just tell you the "what" a function does/is, but. WHY and HOW to put that information to use. And having this as an iBook is just the icing on the cake! Put this in the Must Buy list! I’m half way through the book and although I'm quite familiar with these GEM books, I always amazed by the depth of the explanation and how simple it is to understand even the most complex topics. And I must say, Logic is getting quite complex at times. I don’t know how other people learn that stuff by just reading text without the visual presentation. Talking about visual. Forget about YouTube videos. I haven’t seen anything that provides that in-depth coverage. On top of that, the author seems to know his stuff. Something you cannot say from lot of guys who try to teach how Logic works because they figured out how to upload a screencast to YouTube. These GEM books are the way to go. I call them GEM, too - Great Educational Method! Pictures is how I learn best, and I’m not ashamed to say so. Keep up the great work, Edgar. Thank you very much!